They look cute together, but what do you think they’re up to? 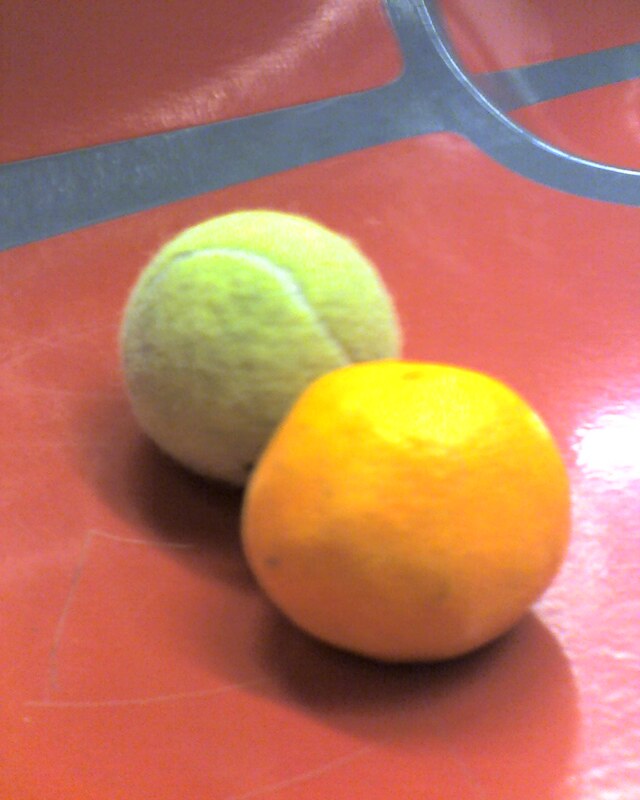 They do look cute together, but I think the lemon is male (always a little brighter and tart in nature) and the tennis ball is female (culturally trained to be bounced around). I like your fun and original photo.